Finish your lat workout, let go of the 48inch lat bar and grab the 20inch seated row bar on the low pulley and continue working out. Features included patented nylon bushings to provide super-smooth movements. Pop pin adjustments, foam rollers and bar holders for high and low pulleys add order and convenience to your workout. 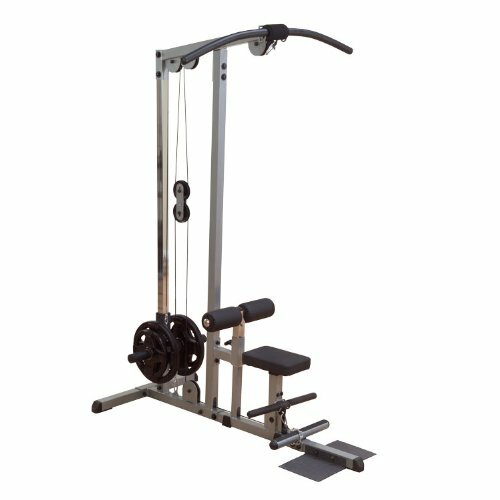 A seated row foot brace and diamond plate stabilizers add extra balance and security to the best lat machine on the market today. Includes Lat Bar and Straight Bar. Weight plates and Olympic adapter sleeves optional.